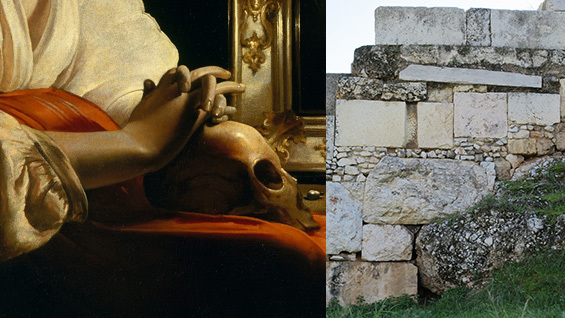 The Interdisciplinary Seminar presents writer Jarrett Earnest and artist Allyson Vieira who will discuss Georges de La Tour's "The Penitent Magdalen” (ca.1640), on view at the Metropolitan Museum, in relation to chapters 2 and 3 of George Kubler's The Shape of Time. This event is free and open to the public. Jarrett Earnest is a writer living in New York City. He teaches and is faculty liaison at the free experimental art school the BHQFU. His criticism and long-form interviews have appeared in the The Brooklyn Rail, The Village Voice, Los Angeles Review of Books, Art in America, San Francisco Arts Quarterly and many other publications. Allyson Vieira lives and works in New York. She received an MFA in sculpture from Bard College and a BFA from The Cooper Union. In 2013 her first institutional solo show, The Plural Present, opened at Kunsthalle Basel, CH (2013) andtraveled to Swiss Institute, NY (2013-2014). Other international institutional presentations include Massage the History, Contemporary Greek Art Institute, Athens, GR (2016), the exhibition of finalists for the Future Generation Art Prize, PinchukArtCentre, Kiev, UA (2014), and Build On, Build Against, at Non Objectif Sud, Tulette, FR (2013). In the U.S., she recently completed a project entitled A Tour of the Monuments of Storm King Art Center at Storm King Art Center, New Windsor, NY (2015) and her work has been featured at Frieze Projects, Frieze NY, Randalls Island, NY (2015, 2014), with Public Art Fund, Brooklyn, NY (2012), on The Highline, New York (2012), and at SculptureCenter, Long Island City, NY (2010). She has had major gallery presentations at Mendes Wood DM, São Paulo, BR (2015), The Breeder, Athens, GR (2014), Daniel Faria Gallery, Toronto, CA (2014), Laurel Gitlen, New York (2013, 2010), and Monica de Cardenas, Milan, IT (2011). In 2017 she will have solo shows at Company Gallery, NY, Klaus von Nichtssagend, NY, and Daniel Faria Gallery in Toronto. Her first major catalog, Allyson Vieira: The Plural Present, was published by Karma Books, New York (2016), and she is currently working on On the Rock: The Acropolis Interviews, forthcoming from Soberscove Press, Chicago, in 2018.